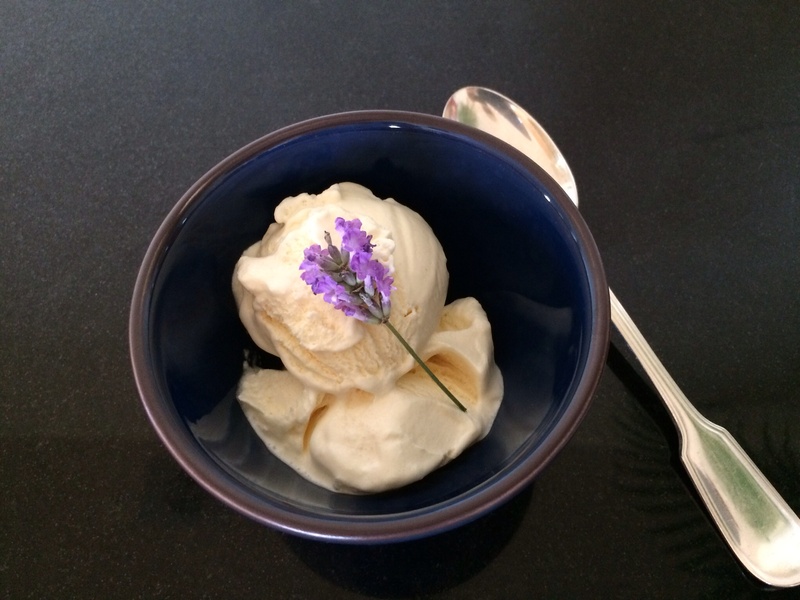 I am using the recipe from Castle Farm to make this lovely lavender ice-cream. 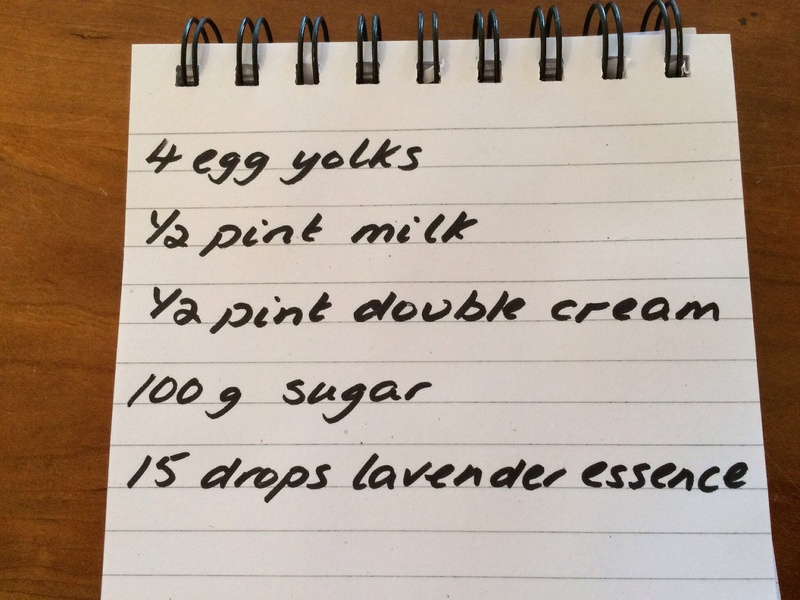 Mix together the egg yolks and the sugar until thick. In a pan slowly bring the milk to the boil. Pour the heated milk into the egg mixture stirring all the time. Then pour the mix back into the pan to heat, gently stirring until the custard thickens. Make sure not to let it boil. When a film forms on the back of a spoon take the pan off the heat and leave to cool. 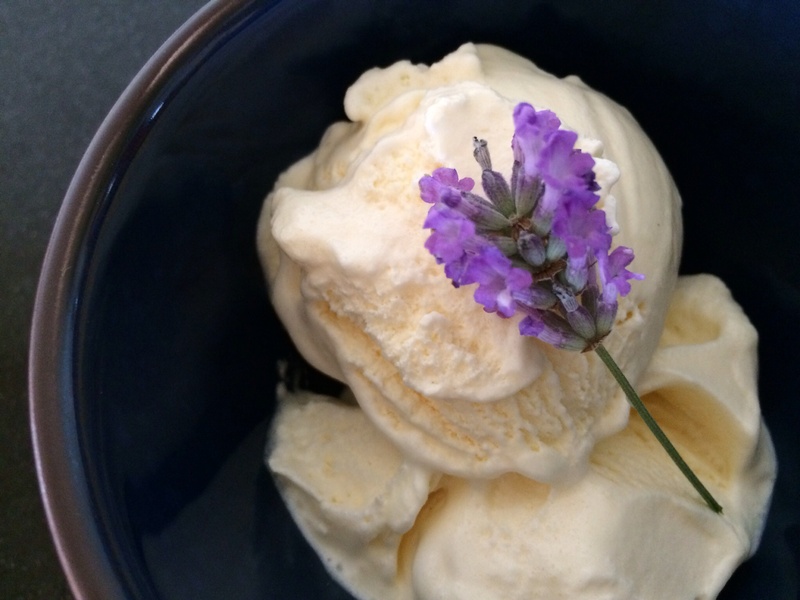 When the custard is cool stir in the cream and the lavender essence. Pour into your ice-cream maker and churn or freeze in a plastic box in your freezer, taking it out every half hour and mixing it. Delicious! ← The lovely lavender fields in Kent.